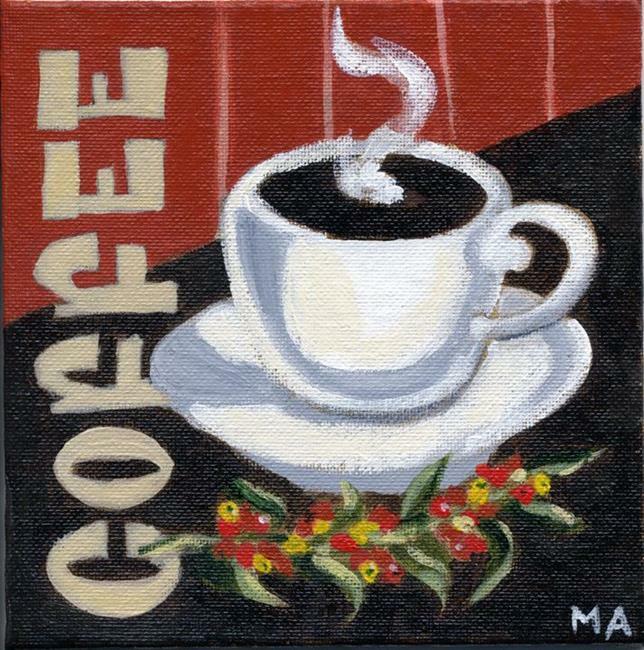 What feels better on a cold winter morning than a hot cup o'joe? Although differnt cultures brew it differently, coffee is probably the most universally appreciated beverage in the world. I included a small branch of the coffee plant with ripe beans in the foreground. This was my entry in the November 2007 Nibblefest, and in the EBSQ "Beverage" show in 2010.